Customize the way you show off your logo! You can never have too many retractable pens! Made of plastic, this pen feels light and comfortable in your hand while you write. The matte silver colored barrel features colored gripper, pocket clip and plunger tip and a chrome tip and plunger. 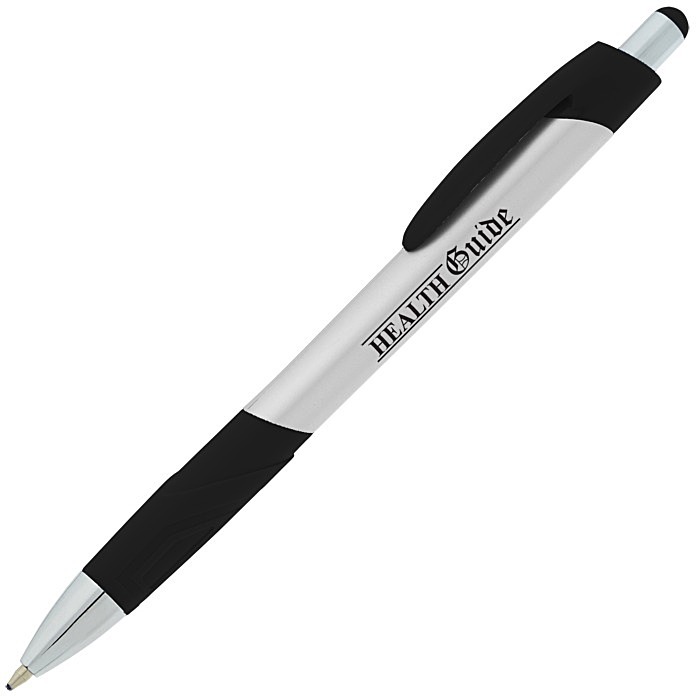 Writes smoothly in black ink with a medium point. 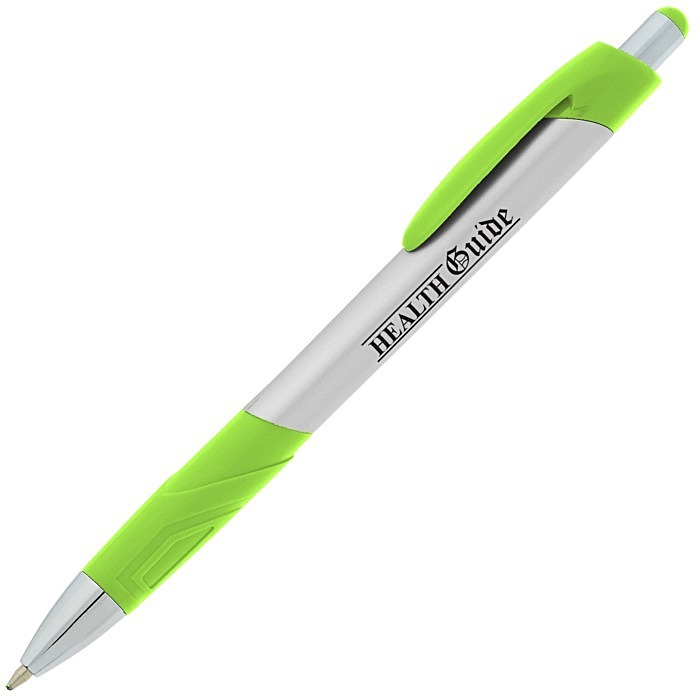 Features a pocket clip to keep the pen on you at all times. Available in a variety of accent colors. Your price includes a one-color imprint on the barrel.